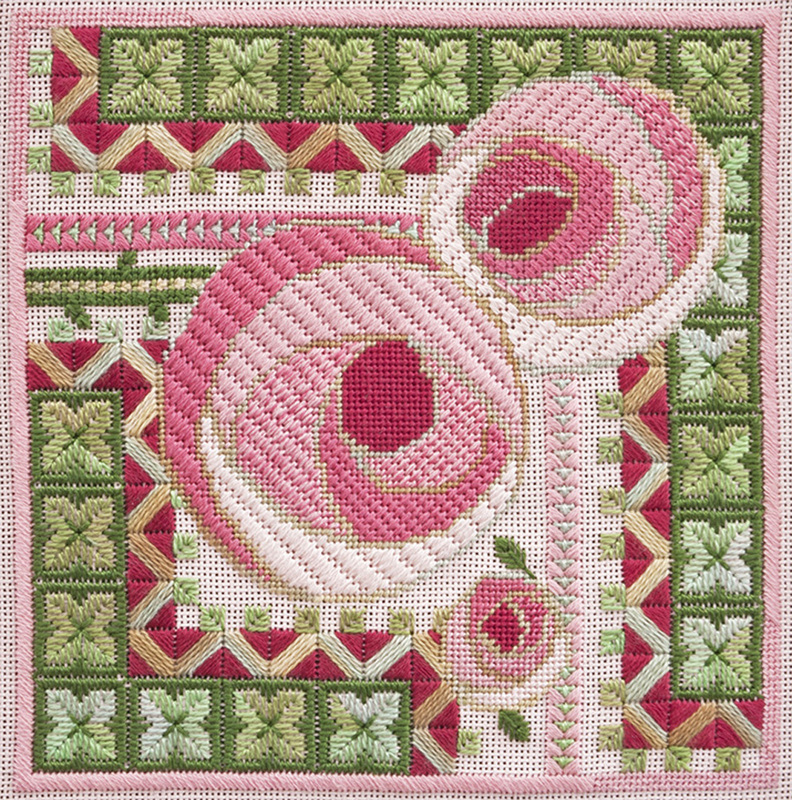 A delightful little piece designed as a 5” x 5” boxtop, it is inspired by the MacIntosh Rose and is stitched using, among others, the diagonal mosaic stitch, alternating scotch stitch, Basketweave, and a leaf stitch motif. Various overdyed cottons and silks, as well as stranded cotton floss, are used to bring this rose to life. This is an expansion of a smaller boxtop and repeats the motifs for a larger composition. It brings together two of my favorites: the art of Charles Rennie MacIntosh and the leaf stitch. I tried to show dimension through the use of differently scaled stitches in the progression of color. The rest is pure fun.